Well the long awaited next Dyna-Ski Video is on U Tube. My 15 year old son John is the editor. Many friends and family are a part of the various video clips used to put this together. There are other videos John has made over the years and hopefully we can produce more of them quicker. He takes some direction from old dad (pretty good) but he also sometimes does what he wants to no matter what. 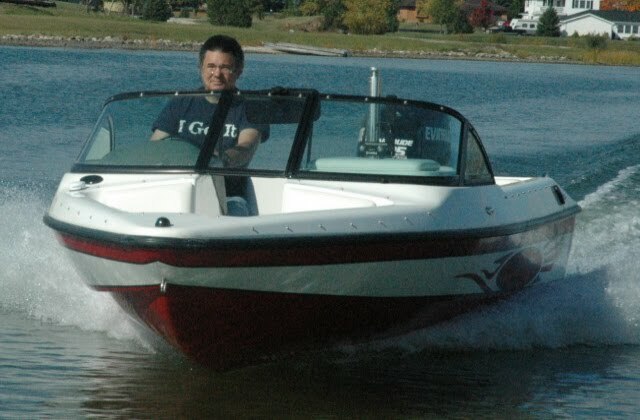 Dyna-Ski is building and obviously selling more boats which is great but it does further divide the time we have to spend on the various aspects of our passion Dyna-Ski Boats. John goes to high school, is very active with water skiing, hunting, fishing, ATV's, snowmobiles, trap shooting, chores around the house, works for some neighbors and plays high school basketball while my wife and I work real jobs as I call them. We all still water ski but never as much as we should. I would never buy a product from someone that does not use the product they sell. We also listen to our customers. Check out the video and check back every once in awhile. Never can tell what he or we may come up with. I'll give you a hint as a drone is in the near future . . . . . . . . we are about due for a website update I'm thinking. This blogs though is the best place for more frequent updates on information. Way easier, faster and cheaper than changes to the website. You can email me at info@dyna-ski.com or call me and leave a message at 715-854-7501 (land line so no texts) with questions, comments and such. I often check my voice mail message from my cell phone so please leave an easy to understand phone number (say it slowly), don't rely on caller ID and giving me the number twice works much better on my end. I answer all my emails personally and also return all my calls. I am fairly quick about doing it all but work, travel, volume, etc. does slow the process some from time to time. There is no longer a slow season or off period for us. Some things do fall thru the cracks so asking twice or more is OK. You may get more than one reply also as I have a desktop computer, laptop, I Pad and I Phone which I use to reply and I'm forever figuring out and learning new things often the hard way . . . . . . . . . .